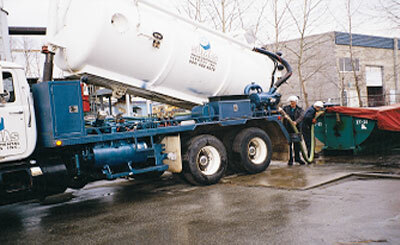 Sumas Environmental Services Inc. (Sumas) operates its own vacuum trucks to efficiently and cost effectively remove and transport liquid and semi solid waste materials (both hazardous and non-hazardous) from excavation, surface impoundment, dip tanks, chemical and fuel storage tanks, and other vessels. 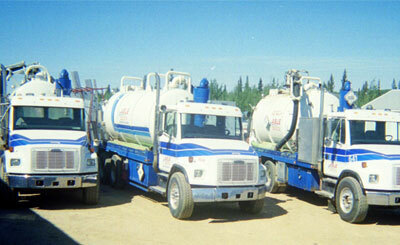 We also provide cleanup and sludge removal services for sumps and interceptors on a as needed or milk run basis. 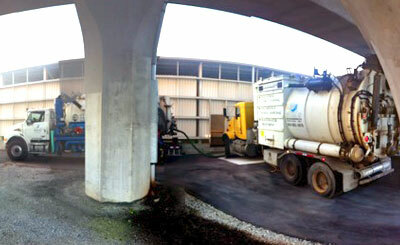 Sumas’s fleet of trucks include wet/dry straight vacs, wet/dry Hydrovacs, dry Hydrovacs. © 2019 Sumas Environmental Services Inc. All Rights Reserved.